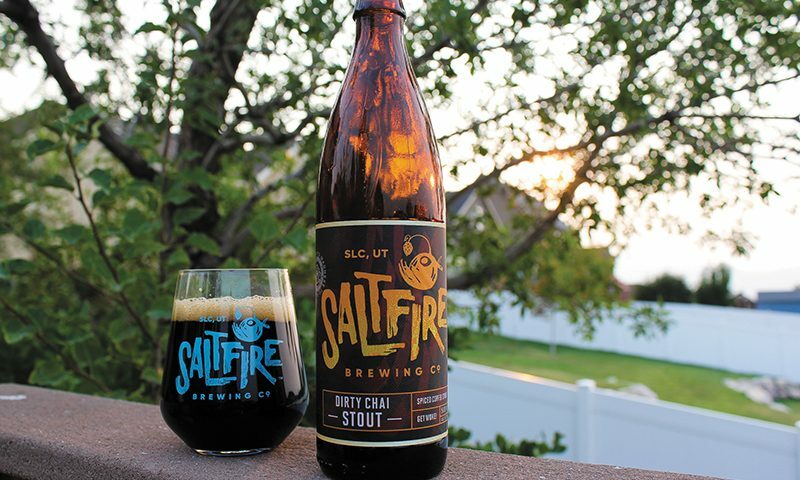 Tags: Beer of The Month, Dirty Chai Stout, Saltfire Brewing Co. Perfectly located in a future hotspot for local beer is SaltFire Brewing. Since their launch earlier this year, it’s proven to be a special addition to the Utah brewery family. Opening day, SaltFire’s Head Brewmaster, Patrick Bourque, pieced together a strategic lineup. 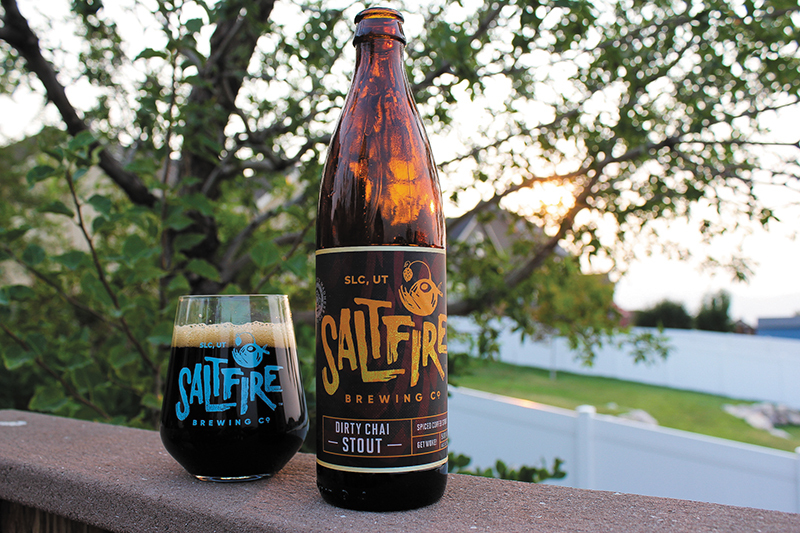 Saltfire show-cased beers with traditional grounding and the risk-taking needed to excel in today’s competitive craft beer world. Along with their hopped-up monster Füry Kölsch, they took a gamble by releasing the robust Dirty Chai Stout in warmer months. “I’m sort of surprised at the response to this beer,” says Bourque. “We originally had put it on the back burner as the hot summer months were approaching, and I was cautious about how well a dark, spiced beer would do in the heat. When it comes down to it, you have to listen to your customers. People wanted it despite the season, and more importantly, people wanted it as our first batch sold out.” The SFB crew listened to the masses and went along with the release. SaltFire Brewing delivers their beer in classically styled 500-mL bottles. This showcases the clever label designs, helping to identify the brewery quickly among the crowds. Cracking the top, this newly bottled bad boy gives a quick hiss then retreats into a welcoming silence. Anxiously, we pour the beer into a properly labeled beer glass. As the liquid layers itself along the edges of the glass, it settles into a dark, creamy, bubble-farm of foam that seems to clear quickly. Strong aromatics of cinnamon race to the nasal passages. A few sips in, hints of dark chocolate and full-bodied coffee balance the spice. With a crisp and surprisingly light mouthfeel, cloves complement the cinnamon and java. The taste is much like you would anticipate if you are a chai tea or coffee fan. Everything is in perfect harmony, as all of the ingredients play a key part in making this a delightful beer experience. It’s exciting to hear about all of the new beer planned in the coming months from SaltFire Brewing. This includes additional barrel-aged brews, sours and, of course, more New England Style IPAs. As SaltFire’s distribution and fanbase continue to grow, we should hopefully start to see their labels appear throughout the state. As of now, find the freshest selection at their brewery, located 2199 S. West Temple in South Salt Lake City.